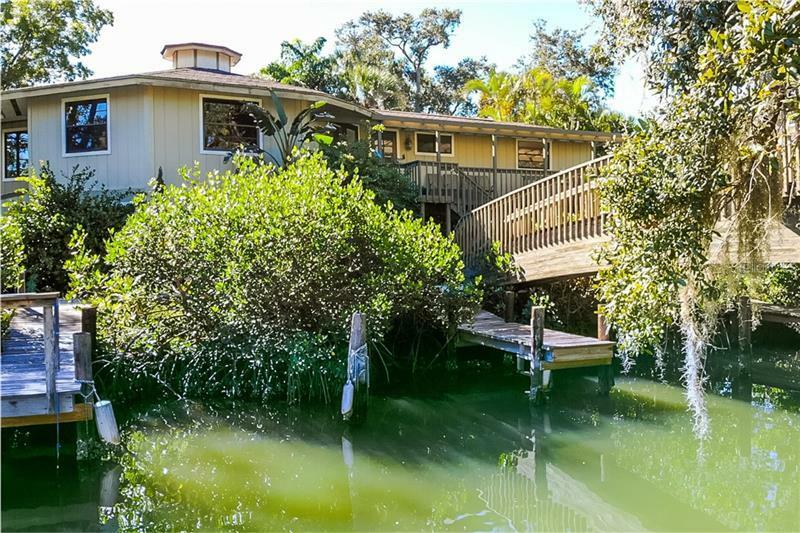 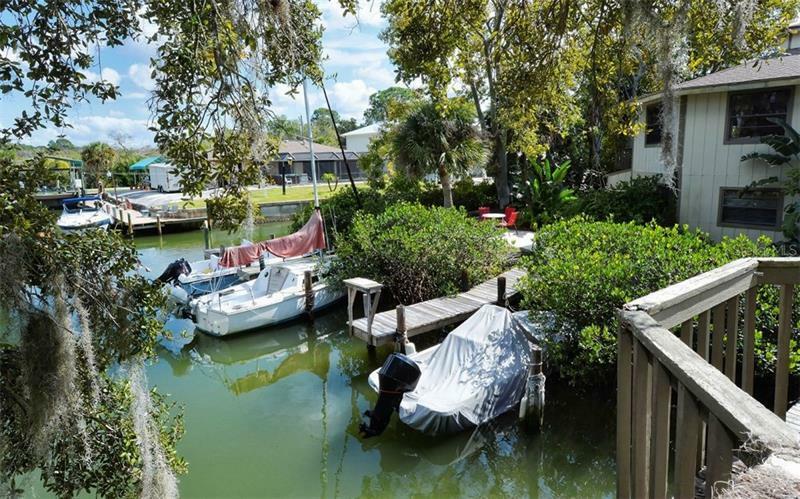 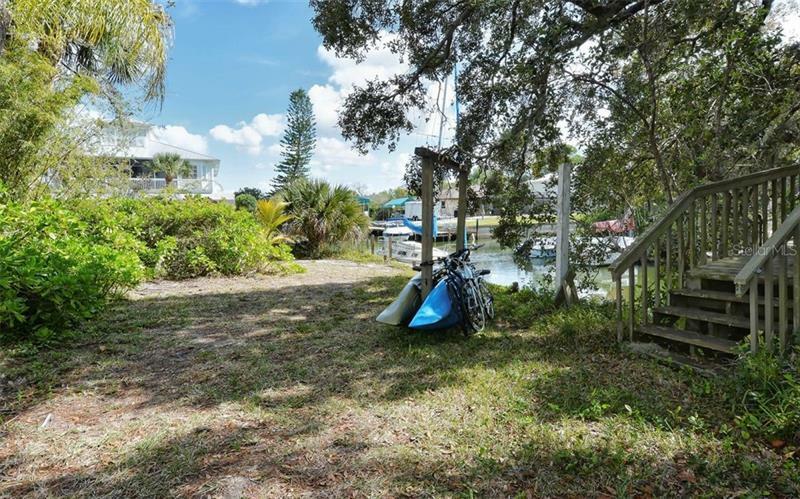 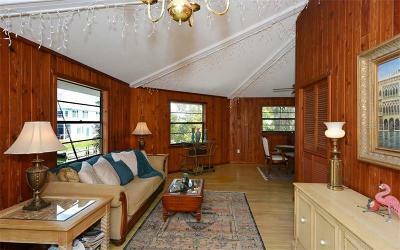 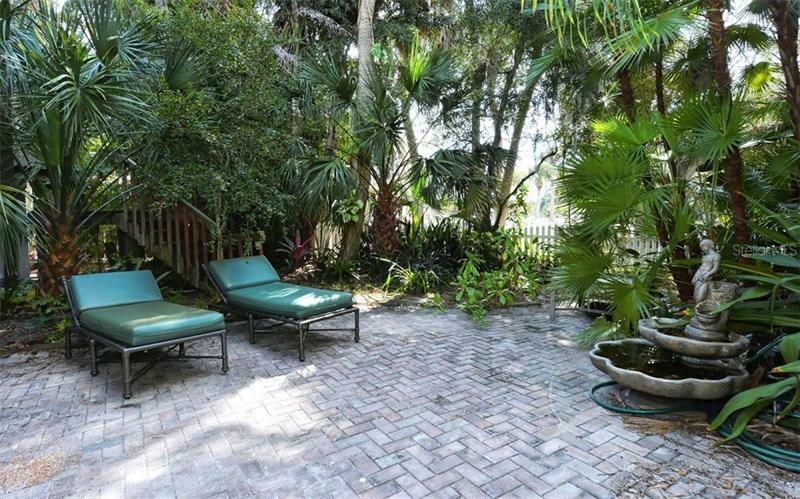 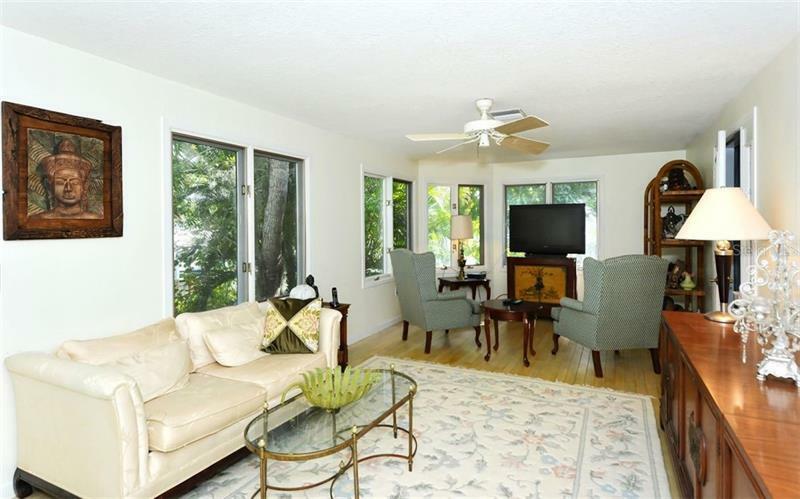 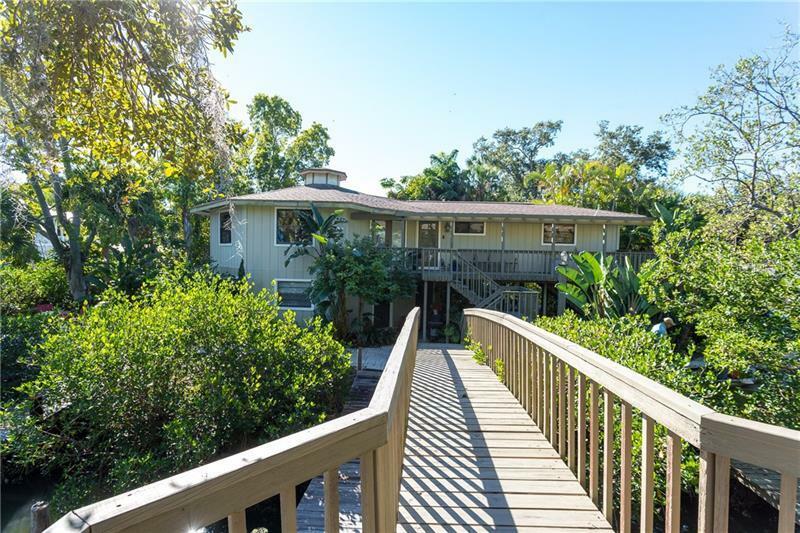 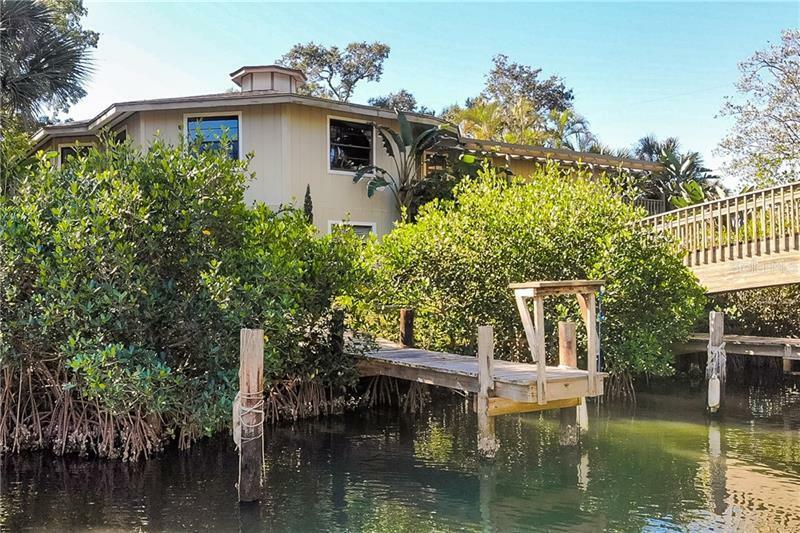 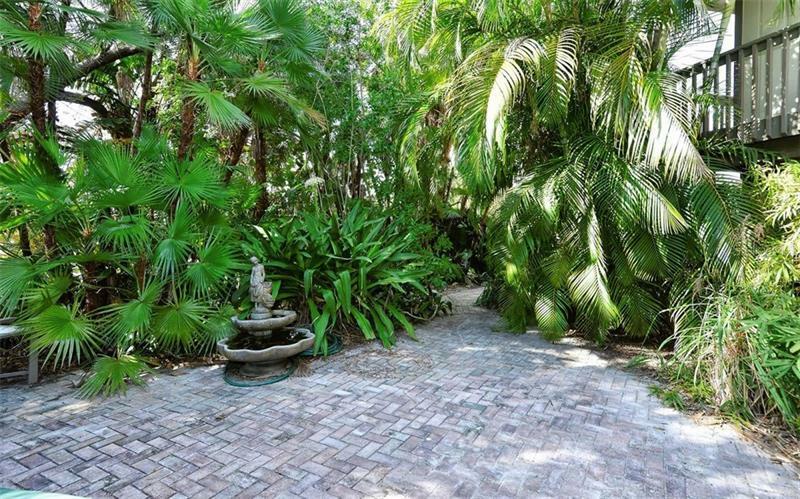 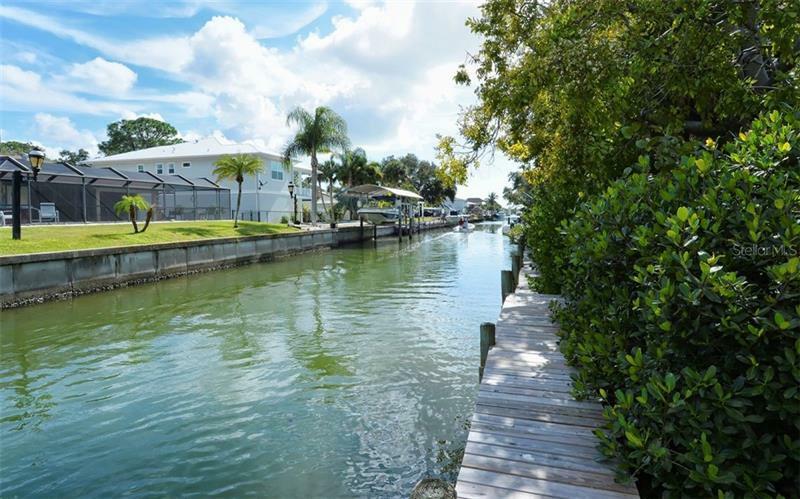 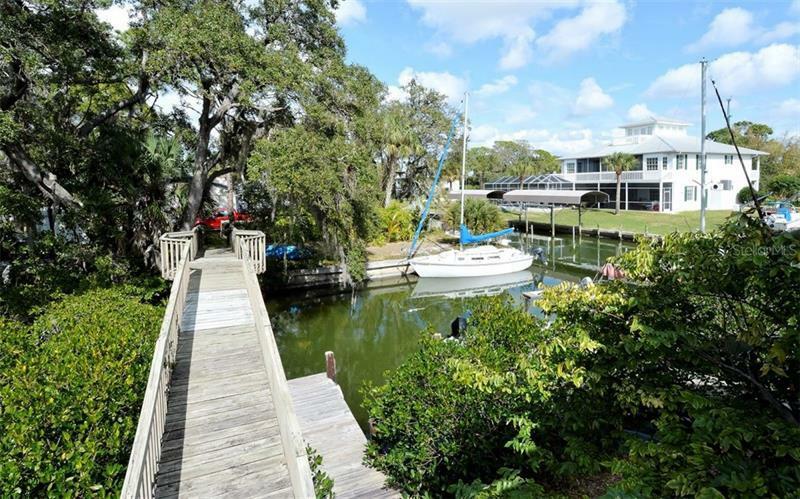 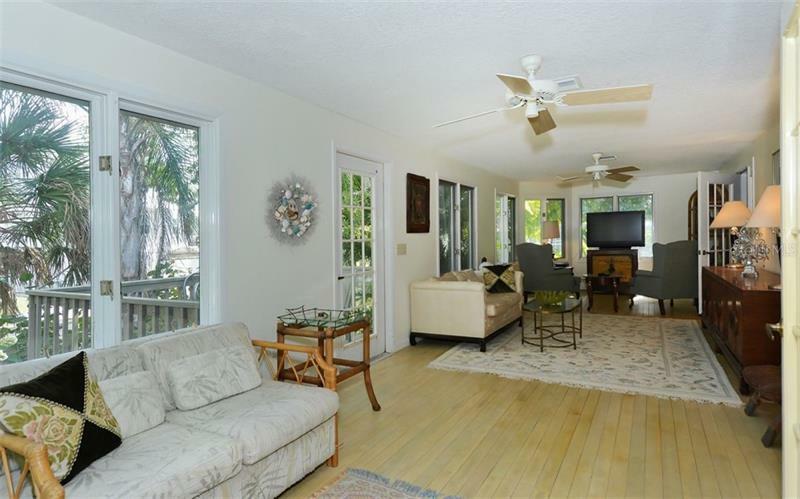 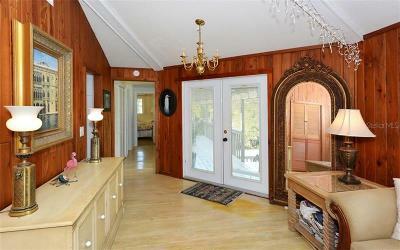 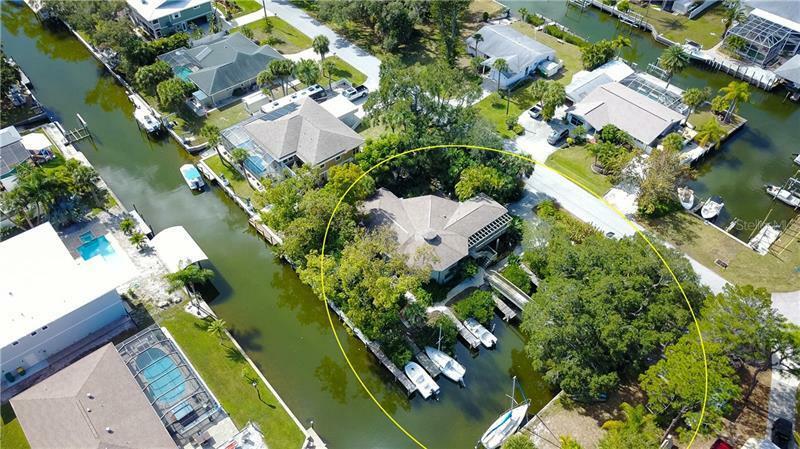 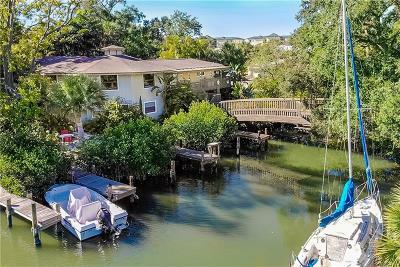 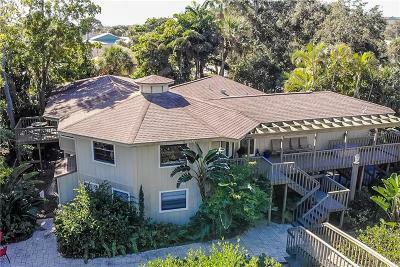 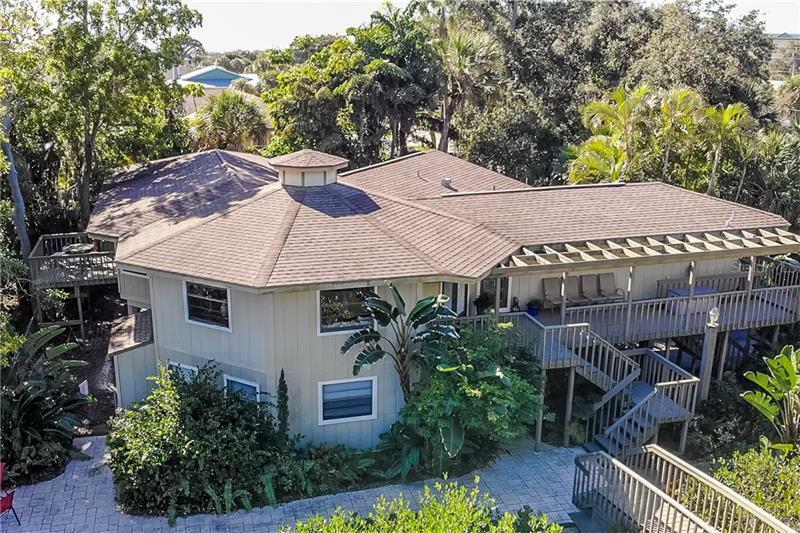 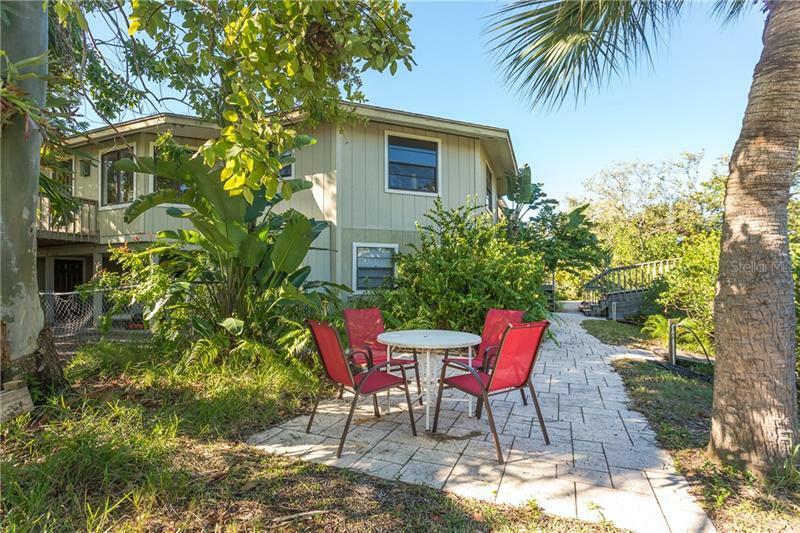 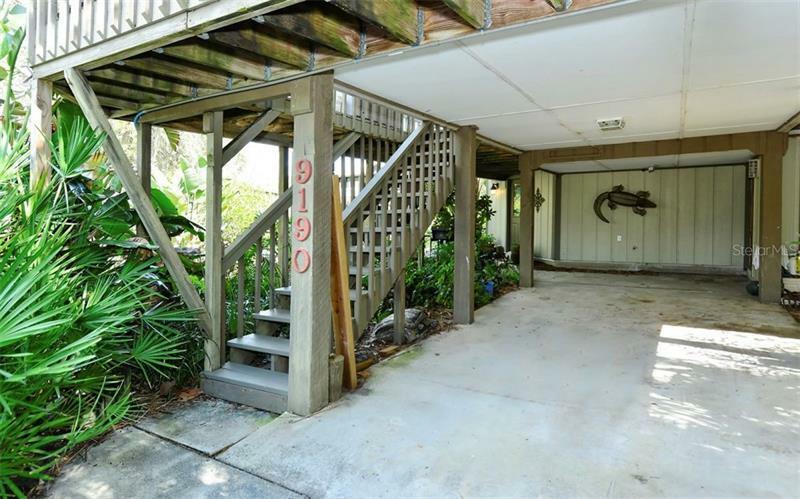 WATERFRONT Tropical Paradise Home awaits you with room for all your friends & their BOATS!!! 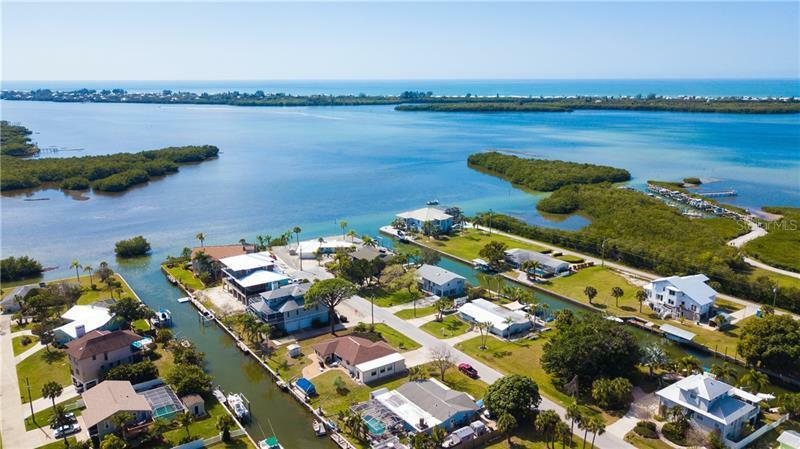 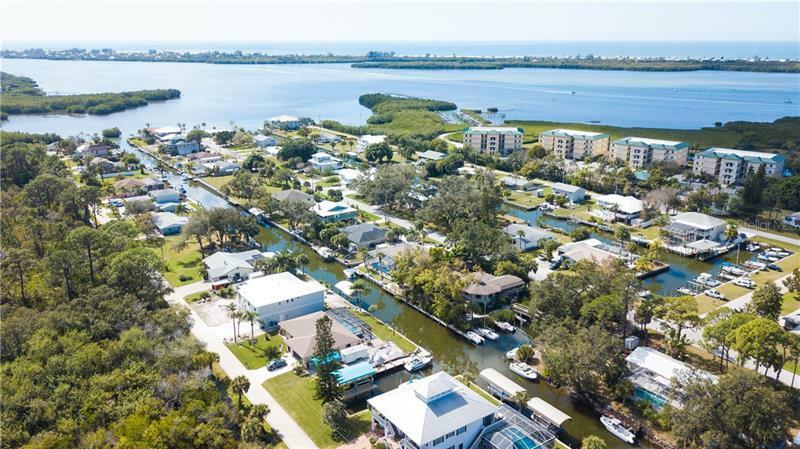 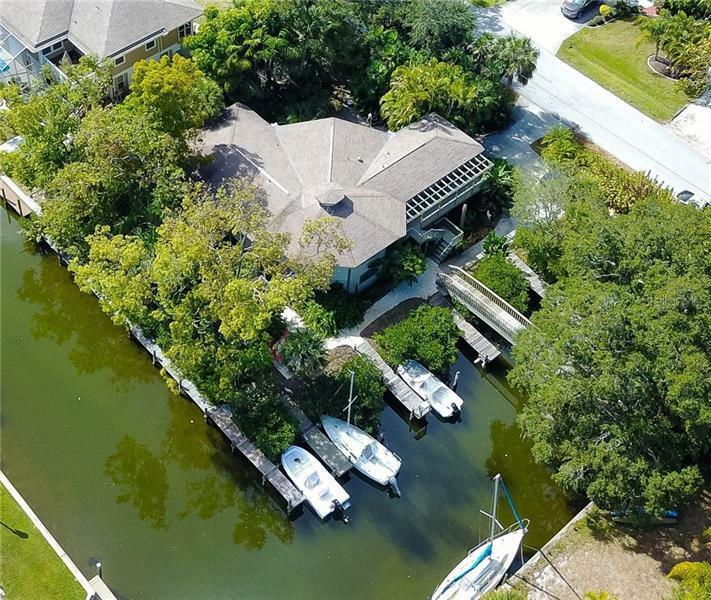 You have your very own private boat basin with docks and boat slips for numerous boats in the basin PLUS another 3-4 boats along the seawall dock! This is sailboat water- with no bridges to the intercoastal waterway and only 5 minutes to Stump Pass and the Gulf of Mexico! 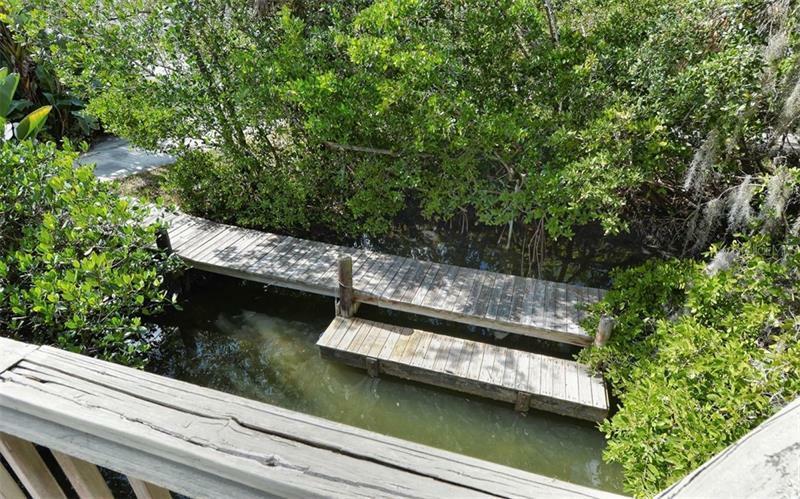 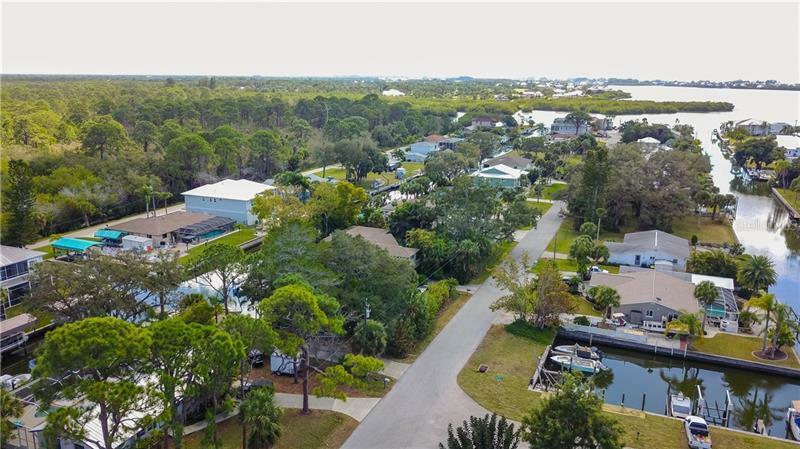 Take a walk over the custom-built foot bridge that connects to the other side of the property over the canal where you can park your RV/Boat (25âx112â). 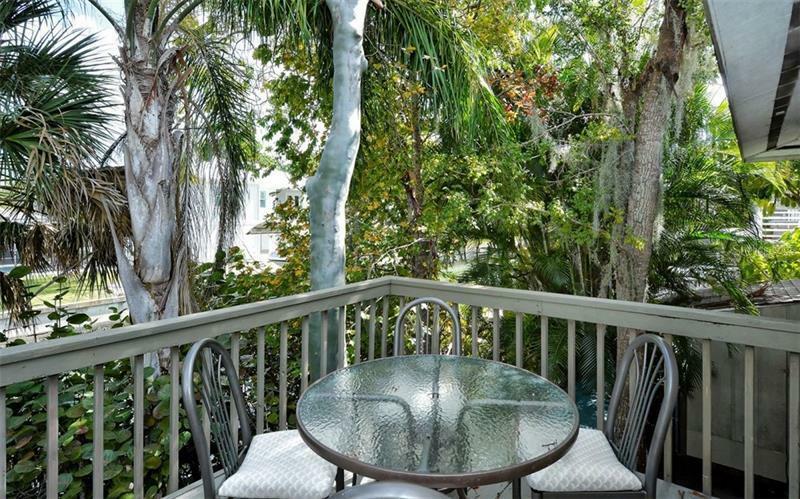 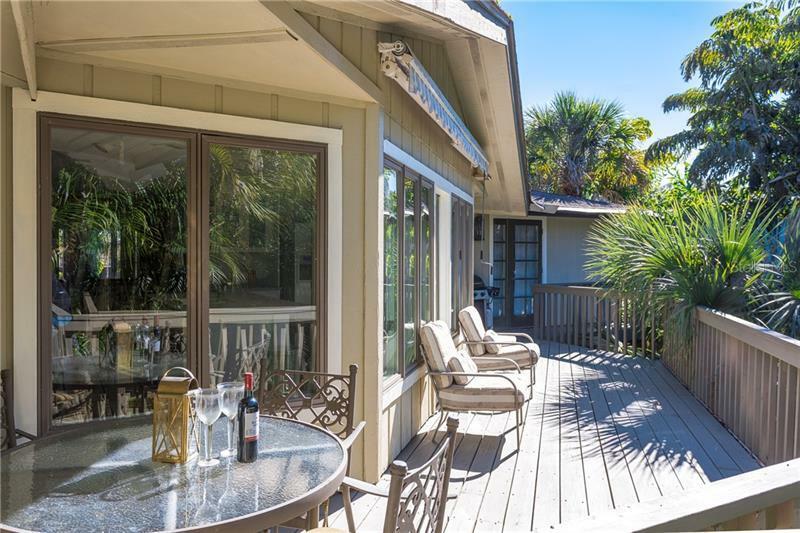 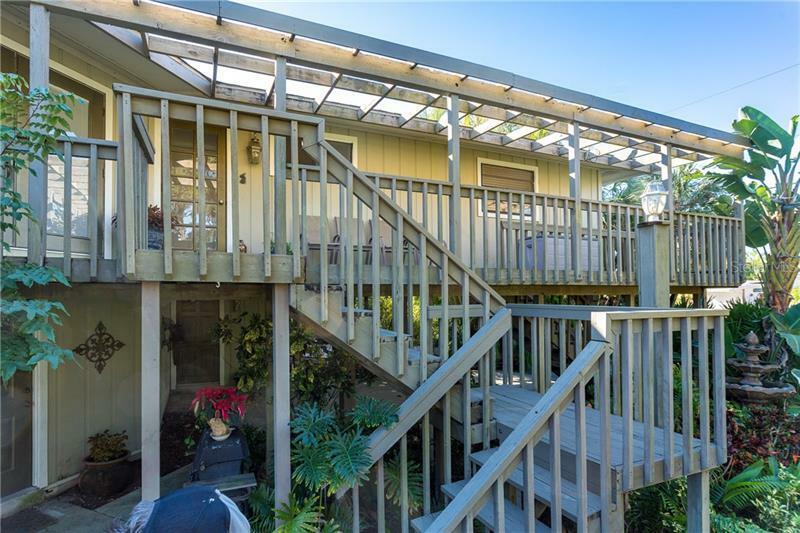 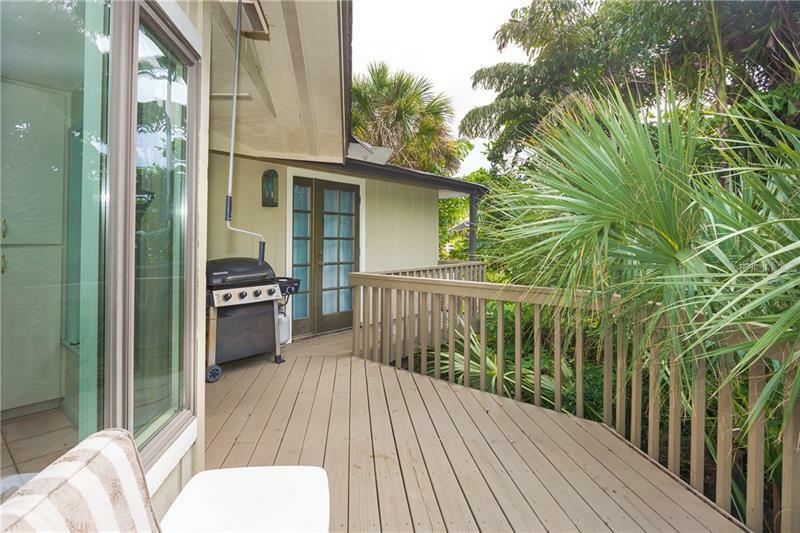 Great Home for entertaining with one deck providing breakfast in the morning sun while another is a great place for al fresco dining in the evening. This Unique & Charming Home has views from every room! 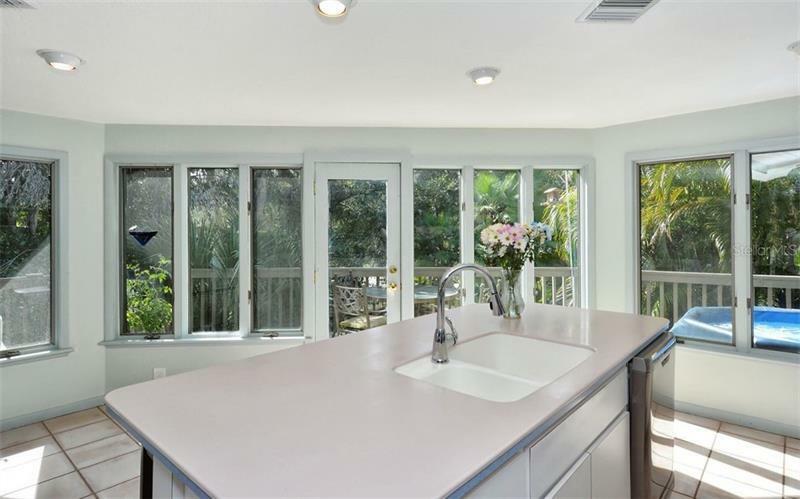 Enter through the double doors to this stunning and custom designed home where every room has windows to bring the outdoors in with the mature plantings that offer privacy on all sides. 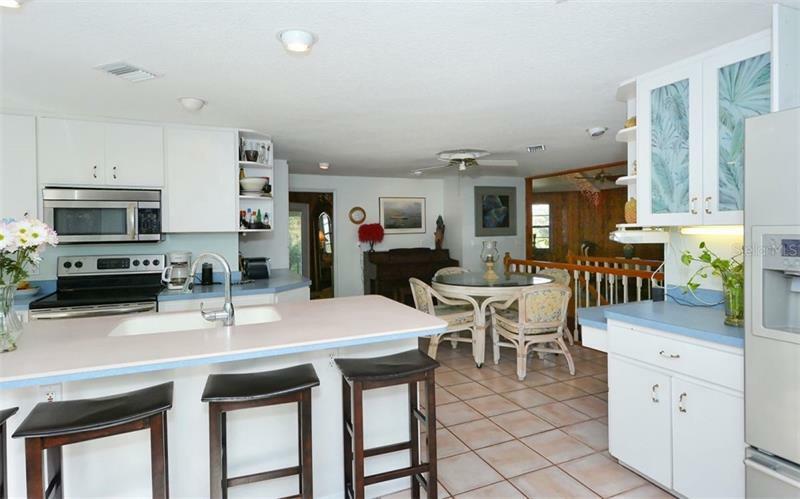 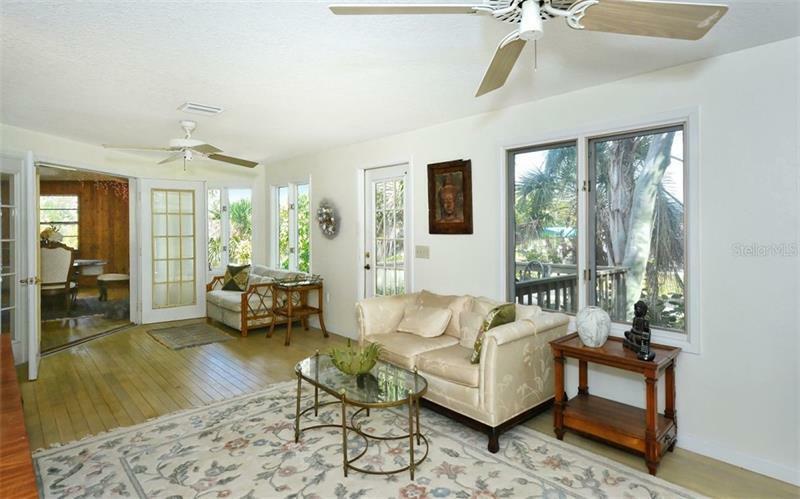 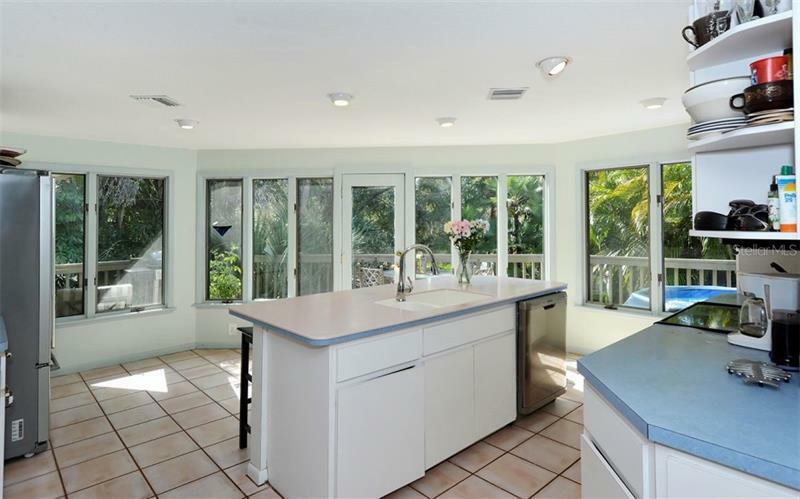 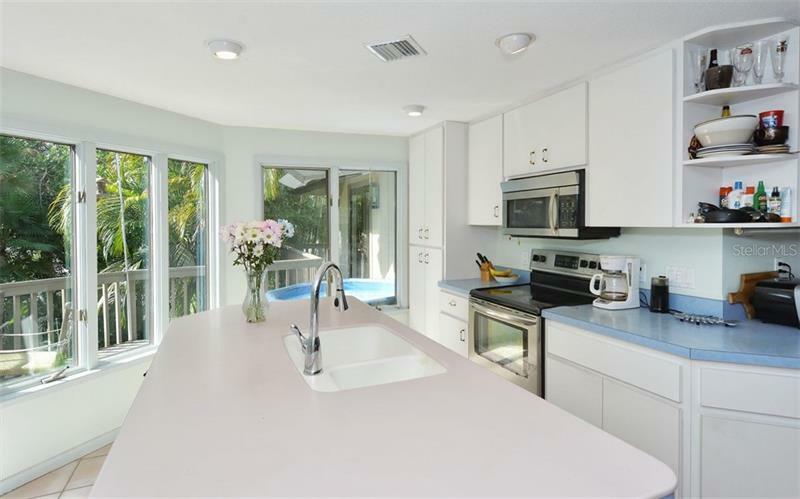 Huge Kitchen and Sun Room create an atmosphere of space and tranquility as you overlook the water and tropical gardens. 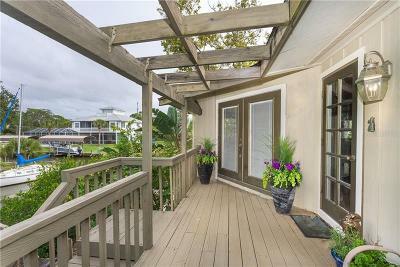 Beautiful Wood Floors in the main living spaces with an oversized Master en-suite for your relaxation and a 2nd bedroom with split floor plan for your guestâs privacy. 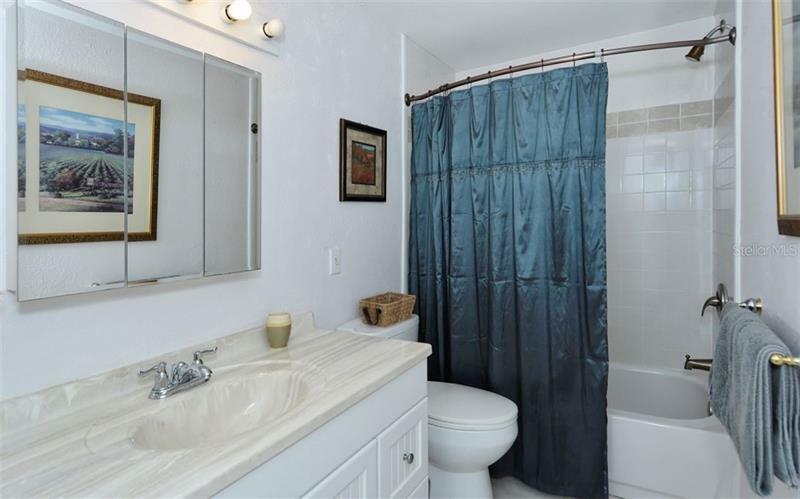 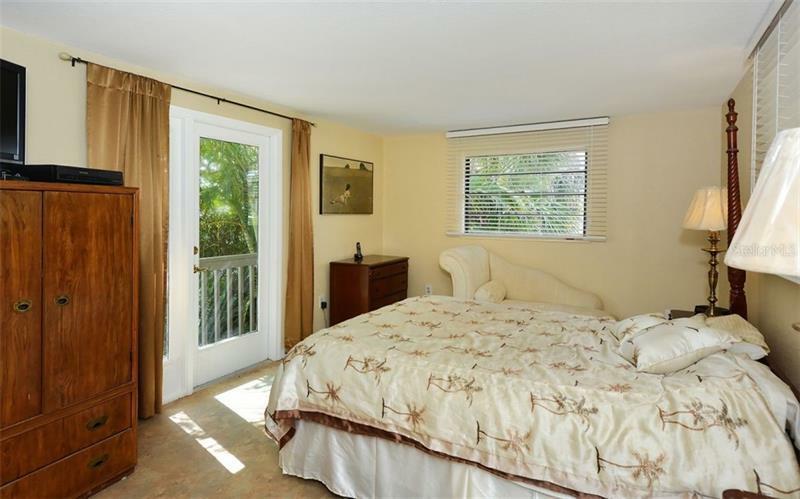 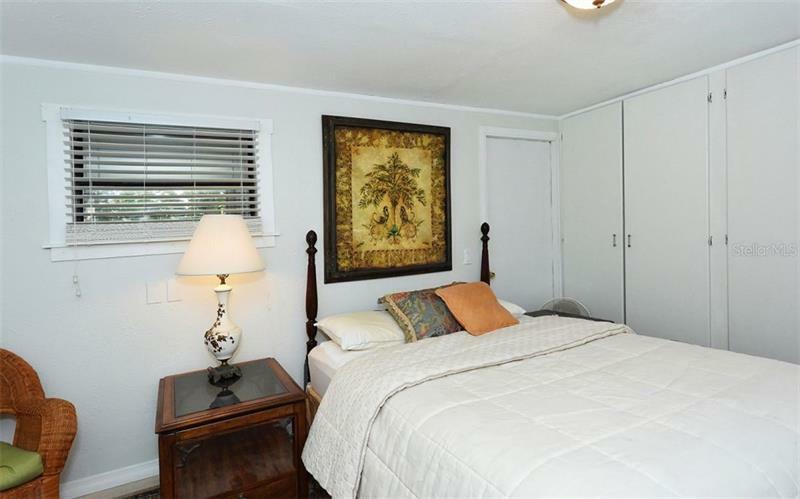 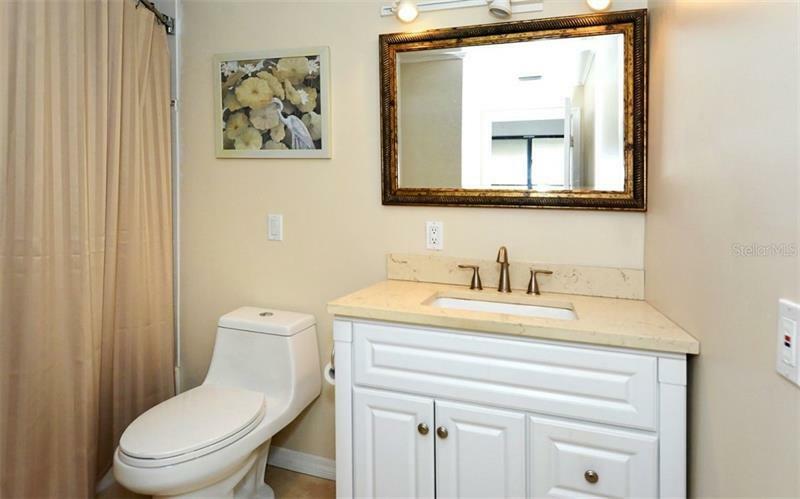 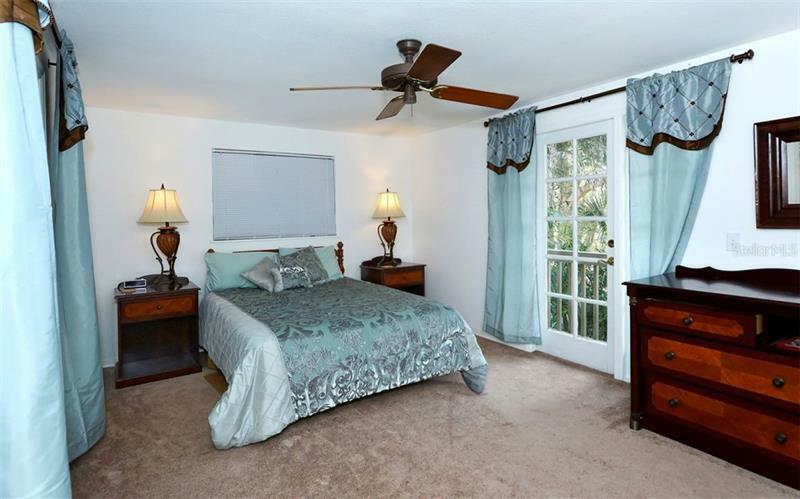 The 3rd bedroom is located downstairs with its own bathroom and living space. 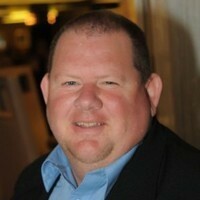 Tax rolls show 2868 sq. ft. of A/C living area..buyer should verify... 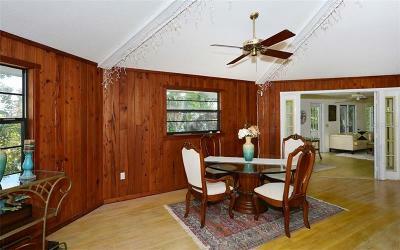 Including a new roof (2006) and a new A/C in (2014).